Looking to trade in that trusty old steed for a shiny new set of wheels? Buying a new car can be a daunting and at times overwhelming process, with conflicting advice coming from every corner and countless advertisements assuring you that there simply is not a better deal in town. So where to start? When it comes to procuring a new vehicle, the best approach is a systematic one, taking into account the non-negotiables such as budget and size requirements prior to drawing up a wish list. Deciding on your dream car is only part of the deal. Do you spend a lot of time on the road? Are you required to do a lot of inner city driving? Do you have a family you need to ferry around? All of these are critical questions to ask of yourself before narrowing your search for a new vehicle. By clearly identifying the key traits you will need in your new purchase, you will place yourself in a better starting position and know which kinds of questions to ask once you hit the showroom floor. Before commencing your car search, you will need to do some quick equations and work out what you are reasonably able to afford per month in terms of repayments. Remember too that you will need to take into account the car insurance you will be required to pay monthly and factor this into your budgeting. Should you be looking to trade in an old car, shop around for offers, consulting multiple dealers and websites so as to give yourself the best possible financial cushion. Car dealers typically tend to offer financing at a slightly marked up rate. 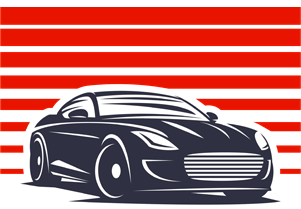 While it might seem like the easiest and most convenient option to deal with all vehicle-related matters in one place, you will likely be better off financially by arranging your loan through a bank, which is likely to offer a better interest rate, thus enabling you to pay off your car faster. Before signing on the dotted line, you will need to sample the merchandise. Make sure to set up some time for a test drive, or even considering renting the car for a day or two. This will allow you to clearly establish whether it is a good fit for your specific needs. While there is nothing quite as alluring as that new car smell, the best option is not always to buy the latest model straight from the showroom floor. Many dealers offer relatively new demo models for far better rates than their unused counterparts, meaning you can essentially score the same car at a bargain price if you are willing to forego the ‘newness’ factor. Given the fact that vehicles are a depreciating asset class, there is no real need to buy new, as your car will already be losing value the second you drive it out of the dealership. Once you have decided on your new car, it is time to sign on the dotted line. Before doing so, make sure to consult your contract thoroughly, ensuring that what is been put in writing echoes any verbal agreements. You will also want to check for any ‘junk fees’, like fabric treatments and paperwork, which can push costs up unnecessarily. Remember also to check your warranty so that you are fully aware of its duration, as well as your obligations in terms of servicing going forward.